Laguna Niguel is one of those lucky cities in Orange County that offers gorgeous views everywhere you look. Ocean Views, City lights views, even Catalina Island on a clear day. With many options in a home to choose from in the Laguna Niguel real estate portfolio, for the golf lovers there's a primary one: finding a dream with a Laguna Niguel home with a golf course view. 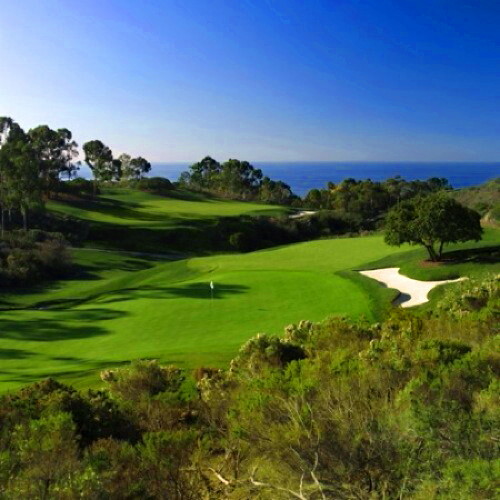 There's many homes and condos surrounding the El Niguel Country Club, giving homebuyers more options to choose from when looking for a golf course view home, and some Laguna Niguel homes will also enjoy views of the neighboring 'Links' at Monarch Beach in Dana Point. Below you'll find all of Laguna Niguel homes that offer golf course view. Search by neighborhood or by home type, and by other characteristics you will love to find in your golf course view home. For any questions or to schedule a viewing, contact us or call at (949) 888-6788. To know more about the Laguna Niguel Golf Course neighborhoods and the real estate options available, follow the link. TOTAL REMODEL ~ Shows Beautifully!!! PANORAMIC canyon, city lights , mountains & golf course view. Single Level plan B customized (originally a 3 bedroom; living room was enlarged to enhance the forever view). Serene Monarch Summit I with private front courtyard. This home features hardwood flooring throughout with the exception of ceramic tile in both bathrooms.. Incredible views from living room, dining area, kitchen & master bedroom. There's many homes and condos surrounding the El Niguel Golf Country Club and also homes that are located within Laguna Niguel but with magnificent views of the popular Links Golf Course of Monarch Beach. Vista del Niguel, Foxboro Height, East Nine and Niguel West are among the popular neighborhoods with homes with a golf course view of El Niguel Golf Course, and some homes among Pacific Island Dr, will enjoy views of the Links as well.